Photo of: East Coast of Ireland: Meath: hill of Slane. 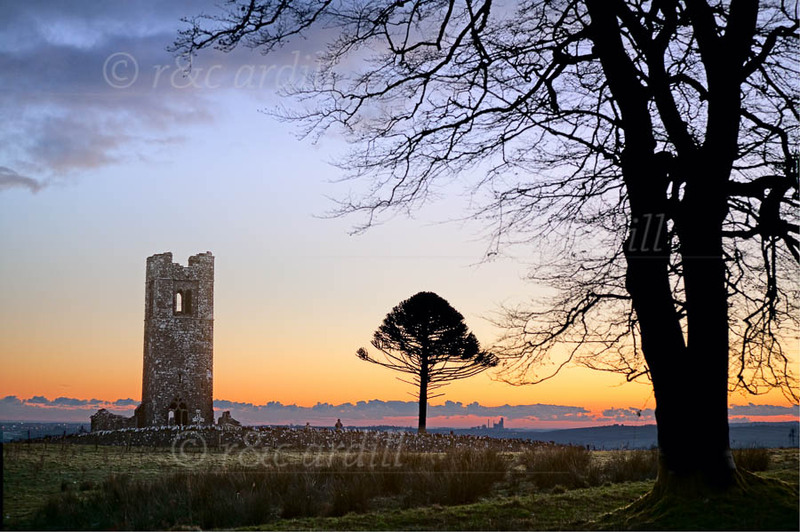 A dawn view of the ruins of Slane Monastery with the tower and tree that can be seen from miles around. The Franciscan Monastery was built in 1512 by Christopher Fleming and it is capped by the commanding belltower of Saint Patrick's Church.